No submission, processing, page, colored figures or publication charges are received from authors, readers or elsewhere. alphanumeric journal is devoted to original research in the field of business administration and related areas. The aim of the journal is to provide a medium by which a wide range of experience can be exchanged among researchers from diverse fields such as social sciences, and engineering. 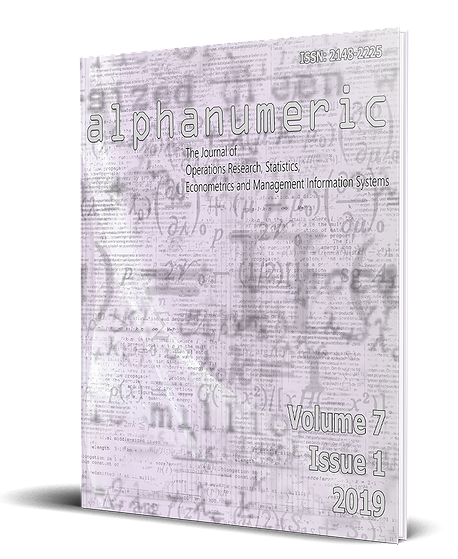 alphanumeric serves as a vehicle for researchers and practitioners in the field of quantitative methods, and is enabling a process of sharing in all fields related to the operations research, statistics, econometrics and management informations systems in order to enhance the quality on a globe scale.